If you've ever questioned how certain athletes are that good, Kia may have the answer: They're mutants, with mutant powers. That's what this (slightly jumbled) commercial is saying about tennis star Rafael Nadal, anyway, as Kia unveils a new Sportage transformed into the "X-Car" for the Australian Open 2016. Kia has created several X-Cars, including Cyclops and Mystique as seen above - Mystique is the official one for the Aussie Open. 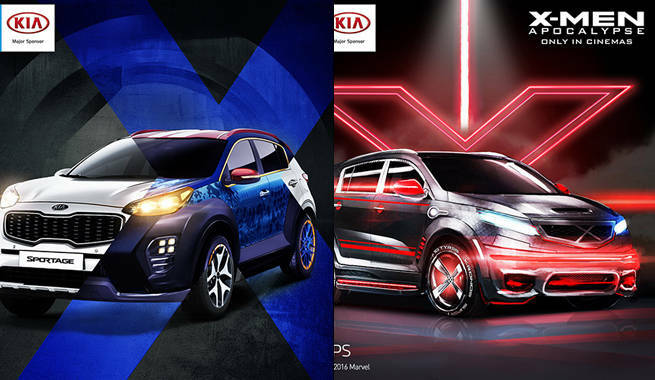 Check out more info about these custom vehicles, also promoting X-Men: Apocalypse, at the Kia site.